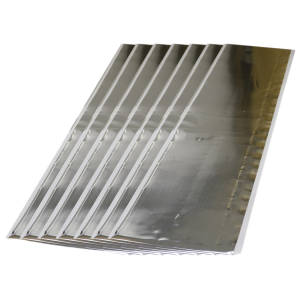 Solid butyl pad backed with a malleable aluminum sheet. Excellent sound deadening capabilities for floor pans, door skins, etc. Seals irregular seams. Seals out exhaust fumes, patches, tears and holes in cargo trailers.